Paxton & Whitfield Gift Voucher. 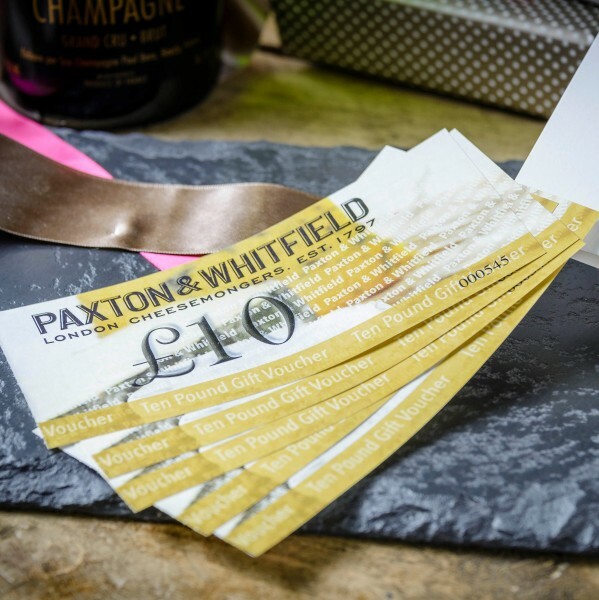 Paxton & Whitfield Gift Vouchers, the perfect gift. Vouchers sold in multiples of £10.00. Vouchers are valid for 12 months from date of issue. These vouchers can only be redeemed in a Paxton & Whitfield store, or with our Mail Order department (01451 823460).